We moved and have a new Address. 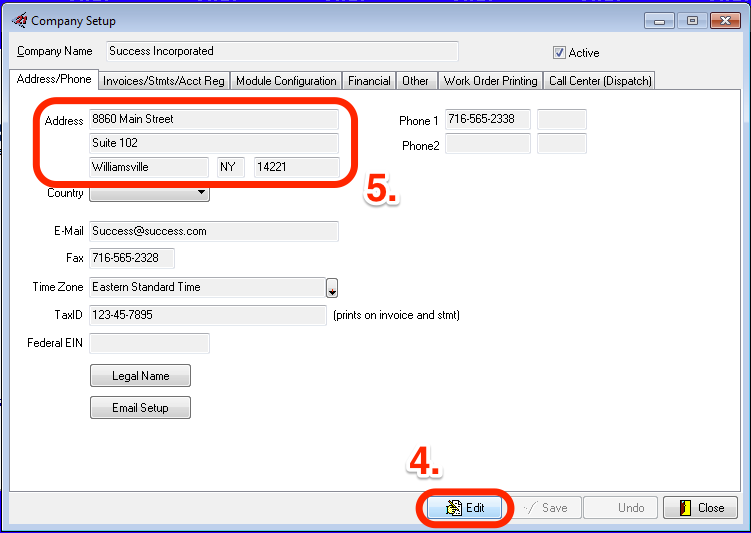 How do we change the address that appears on our Invoices? 1. Click on the 21 in the upper left hand corner. 5. Change your address accordingly. 7. 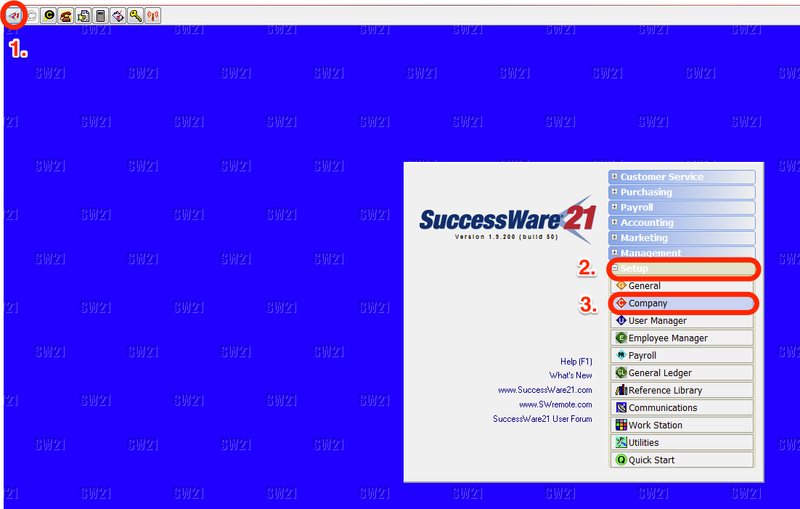 Next you need to login to the SWRemote Admin site and run an Update. Those directions can be found by clicking here. 8. After the Update is complete, the Techs need to Quit SWRemote and then log back in to see the change. More detailed instructions are found here. Once the Update is complete, to see this reflected on the Admin site, you will need to refresh the site.